Do you want to learn how to earn money online? In today’s digital society, making money online has never been easier! 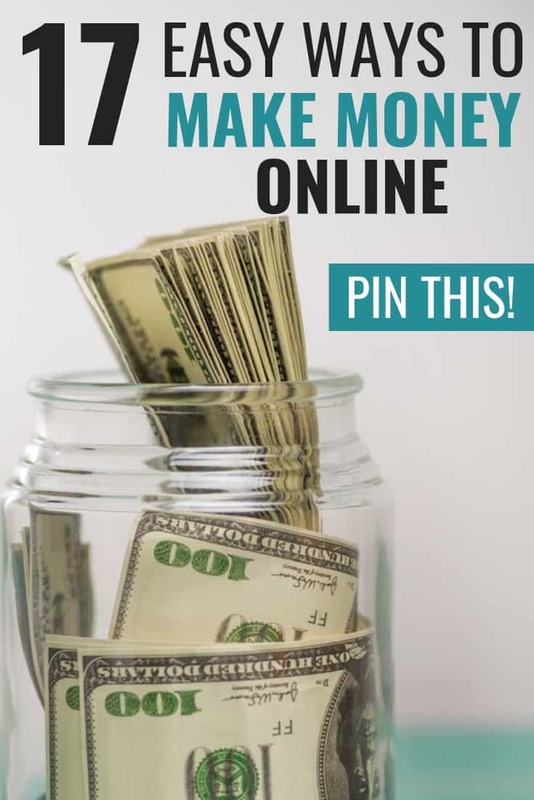 Whether you want to have a small side hustle or a full-time online business making thousands a month, this article will give you some incredible ideas so you can start making money online this month! The list goes on and on. Now that you’re determined to make money online, you need to take complete control of your life and master the way(s) you think you’re suited for! You can earn money online without any start-up costs. Here are some of our favorite ways. Did you know you can earn money online taking surveys? Taking online surveys won’t make you rich, but they will certainly help you earn some extra income. Instead of vegging out in front of the TV twiddling your thumbs during commercial breaks, why not make money online? Companies want to know your opinion to help them market their products or service more efficiently. Since you are providing them with market research they are willing to pay you. It’s a win-win for both parties. Are you a college student or recent graduate? If so, there’s a great way for you to earn money online. StuDocu is a site that will buy your lecture notes from you. All you have to do is scan in your notes and you get paid via PayPal a few days later. Pretty cool, right? It’s 100% legitimate, by the way. One of my friends did this after her term ended and she made easy money. It won’t make you rich, but it’s a great way to make money in college. A lot of people have made their money off of the stock market. If you can invest in the right company, you can really strike it rich. Just think of the people who bought Amazon shares when they had their initial public offering! With an app like Acorns, you can round up the spare change from your purchases and invest it into diverse exchange-traded funds. Choosing stocks that pay dividends can very passively earn you money online for years to come. Money-making apps like Acorns make the process super simple to get started! It’s amazing how technologically advanced our society is! You can actually file your taxes online through sites like Turbo Tax without having to ever visit a CPA in person. They guide you through the process, so if you’re looking for an easy solution for how to earn money online, this is it. The best part is that when you file online, you’ll be eligible to get returns on your taxes sooner. That’s a win in our book! You can even file your taxes for free through a service like FreeTaxUSA. Please note: this does not constitute as financial advice. If you have any hesitations about filing your taxes online, you should visit a certified professional, even if you have to pay them for their time. Freelance services are highly demanded and there are many ways of getting started. Freelancing is a GREAT stay at home mom job to consider. In essence, you’re trading your time (and special service) for money. 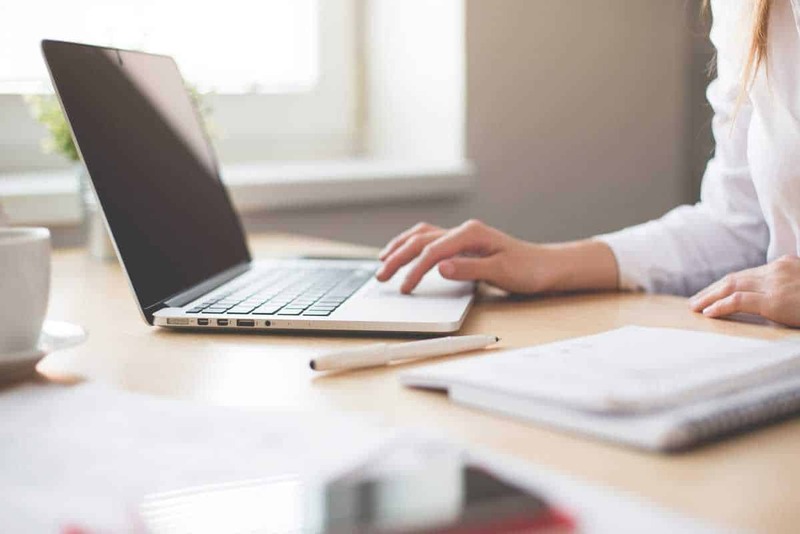 Proofreading is one of the final steps in the process of content creation – so for example, this article that you are reading now will have a proofreader work on it before it is published. There are plenty of online proofreading job opportunities and they actually pay really well! If you are serious about learning how to become a proofreader you should totally consider taking the course Proofread Anywhere. It will give you all the education, experience, skills, and tool you need to make upwards of $20-$30 per hour. VIPKID is incredible! I can’t say it enough. Within the first month of becoming a teacher for VIPKID, I earned close to $1,000! What other side hustle can you work from home and make that kind of money? VIPKID is ranked #2 by Forbes for Best International Companies To Work For and they’re a company that enables Chinese children to learn English from teachers all over the world. The best part of VIPKID is you can get hired without having actual in-class teaching experience. I got hired and have ZERO in-class teaching experience. They require a total of 500 hours of experience, which can include coaching, boy scouts, babysitting, tutoring, mentoring, etc. You can read our entire VIPKID review here. If you are interested in becoming a teacher with VIPKID, sign up here. Holly over at Club Thrify made more than $250,000 in freelance writing income last year alone! Anyone can be an entrepreneur today. The barrier to entry is low, so hop aboard and transform your income. Our good friend Sarah Titus made over $300,000 last month with her Shopify store selling printables. When you shop, you spend money, but there’s no reason why you can’t earn some of it back. Do you do a majority of the shopping in your house? You need to start making money online through cash back programs. We have earned a few hundred dollars in just a few short months using companies like Ebates and Ibotta. The solution for how to earn money online has never been easier! Ebates is an online program that allows you to earn a percentage of your purchase back via check. Ebates has an incredible browser extension to make sure you always get the most cash back with your online purchases. Ibotta is an app you can download on your phone and start earning cash back when you grocery shop. The process is very simple. You go shopping for your everyday items (food, toilet paper, diapers, medicine) and upload your receipt to Ibotta. Then Ibotta gives you cash back. You can sign up for Ebates today and earn a free $10 credit. If you’re already spending money, why not earn some of it back with a special cash back card? Make sure you set a budget so that you don’t overspend and then have a lot of debt to pay off. Getting cash back should be a feature of any credit card you sign up for, such as Discover and Chase. You should do your research before signing up for any credit card and make sure that the allowable ways to earn cash back are feasible for you in your situation. I hope you learned how to earn money online after reading all of these amazing ways. To maximize your earnings, focus on two or three tops to start off with to really master them. Whether you’re a stay-at-home mom, college student, or anyone else who needs some extra money, remember that you have what it takes to earn some extra cash! We believe in you and let us know in the comments of how you started making money online. Remember, we make extra money each month on our blog, so if we can do it, you can, too. If you don’t believe me, then check out our income reports. There are countless options right at your fingertips for you to explore and go after. What are you waiting for? Like our Facebook Page for more ways to make money online! Great article, I have always put of taking surveys because it seemed to be not a good use of your time. However,I have seen with good time management you can make at least $50 per month with surveys,not life changing but $50 is still $50. Absolutely every little bit helps! Thanks Christos. Appreciate the kind words. Both of you are doing a great job here. This is my first time of landing on your personal finance blog but I can tell you categorically that I got value here. I run a business blog and it’s successful but I guess I’m missing out in the area of saving and investing my money accurately. This I’m going to work seriously on. The various ways of making money that you listed here aren’t new to me but I think I’ve been lazy about implementing at least 5 to help expand my income. I just wanted to say thank you for taking the time to build such a helpful website! I stumbled across it as I’ve been searching for ways to be a better steward of the money God’s blessed us with. I’m currently working part-time and doing graduate school online, but we have a baby on the way so my husband will soon be our only income. So I’m so excited to see this article and find there are ways I can make money to contribute as well! I’m excited to try out the survey websites, selling my notes, and especially VIPKIDS as teaching is right up my alley. Thanks again! Awww that’s so awesome we were able to help Sarah. Super exciting you have a little one on the way but also scary. Let us know if you have any questions about VIPKID. These are all great ideas! The one thing I did for a while is sell items on Amazon I found at local stores. At first it started off, as a hobby, but I quickly made $500 in one month. Then I got addicted and was earning up to $5k a month…while having a full time job. Eventually, it became too much for me to handle so I quit, but there are definitely opportunities out there. Thank you for such an informative site. I’m in the process of beginning some of your strategies now. I’m super excited about this!